Benny was living on the streets of downtown Los Angeles until he was 8 months old. 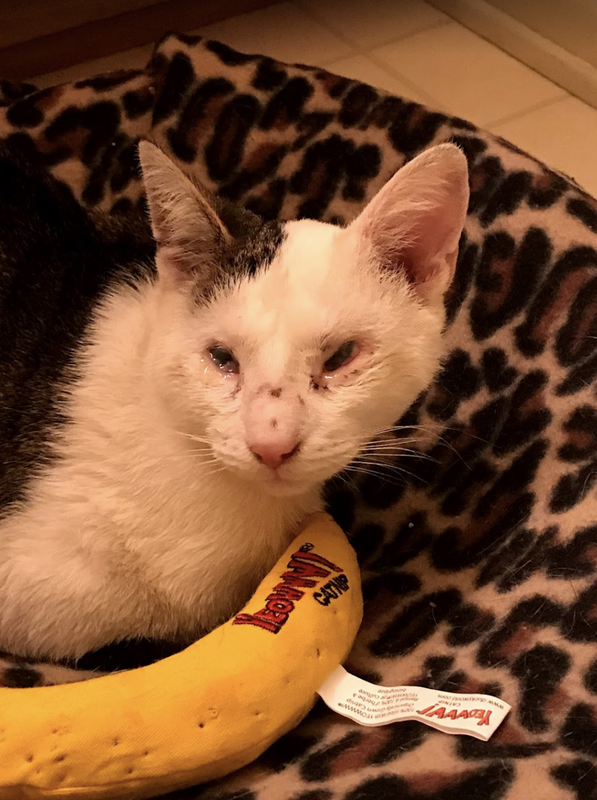 A kind woman would feed him and his feral colony, but he needed medical care she couldn’t provide. She knew something was wrong with his eyes and although friendly with her, he was wary of other humans. He was trapped and taken to Santa Ana to a person’s home where he was awaiting a rescue to step forward to take him. Milo’s Sanctuary agreed to take him in, and the day he was to be transported to our veterinarians, he busted out the bathroom screen and disappeared. We were so concerned for him! Alone, scared, blind, and confused in a new place unknown to him, and not even his feral colony nearby. 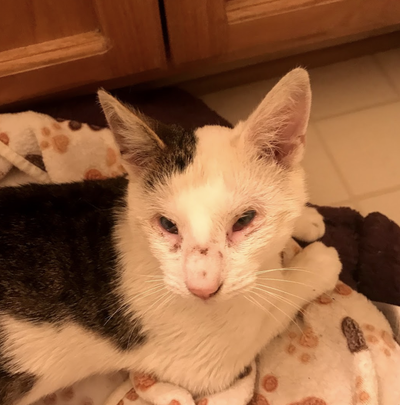 ​Once we found out he was lost, we set into action, teaming up with two wonderful feral cat trappers who searched for him day and night, canvassing the neighborhood, placing lost posters everywhere, making the local animal control aware he was lost, and setting traps. No one had seen Benny and the days rolled on. Our President and Director of Animal Care joined the search under houses and the streets for this lost blind boy, but came up empty handed. Nine days after Benny’s disappearance, one of the trappers got a call from animal control. They had seen Benny dash under a house blocks from where he was lost. 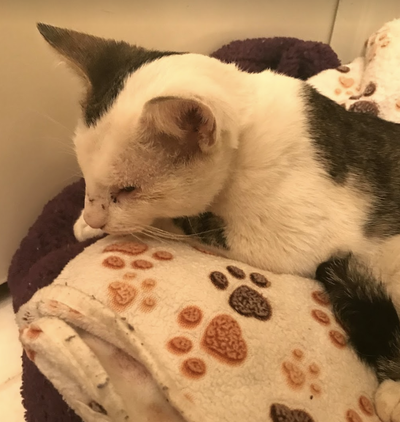 Once we heard where he was, the team we were working with rescued Benny and we rushed him to our veterinarians, where he spent two days getting medical care. Benny has now been neutered, microchipped, and is healing both mentally and physically from his ordeal. Once he’s stronger and over his current eye infection, he will be seeing the eye specialist. For now, he’s learning to play with toys, sleeping, eating and getting lots of love from all of us at Milo’s Sanctuary. The only thing Benny needs are sponsors to make sure that he will always have everything he needs for a happy life and will never have to worry again! Thank you!